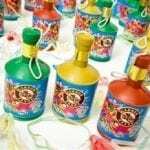 Diwali Party Poppers are also well known as champagne poppers. 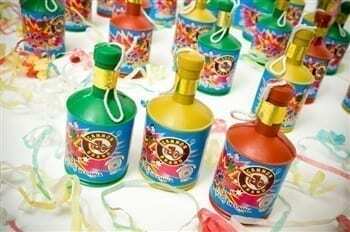 Point popper away from you and your friends and then pull the string for a loud BANG and colorful streamers will spray in the air. These are the same quality poppers as our Champagne Party Poppers. 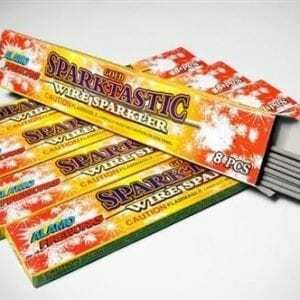 Diwali Party Poppers are a fun alternative to fireworks and sparklers at your celebration. Diwali Champagne Party Poppers are Fun Party Favors and Table Decorations! 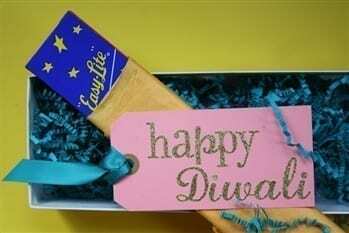 Fun Favors and Decorations: One of the easiest ways to celebrate Diwali is to POP Champagne Party Poppers. Diwali Champagne Party Poppers can be used indoors or outdoors when celebrating the Festival of Lights. 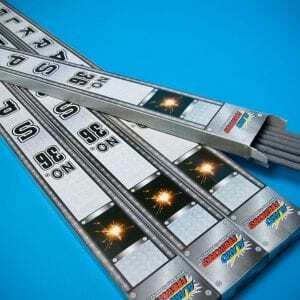 They can brighten any celebration and help create fun and excitement. The plastic bottles are bright colors with festive labels and compliment any bright, colorful party decoration. The colorful confetti that pops out looks great in pictures and adds to the merriment of Diwali. The Champagne Party Poppers also can be excellent favors by making up small bags filled with poppers and sweets for friends and family to take home and enjoy later! Annual Festival of Lights: Diwali, or Deepavali, is India’s most important holiday of the year, celebrated by followers of Hinduism, Sikhism and Jainsim. People would traditionally seek a blessing from Lakshmi, the goddess of wealth, as they prayed for success, wealth and a bountiful harvest. Today, many businesses in India mark the day after Diwali as the first day of the new financial year. Known as the “Festival of Lights,” it symbolizes the victory of good over evil. There are numerous Diwali celebrations in the United States and have great turnouts in several cities in each state. 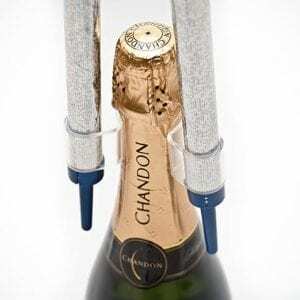 Are Champagne Party Poppers Cost Effective? Yes! Our party poppers are packaged 144 poppers per order and at .15 a piece, they are very economical for any event. 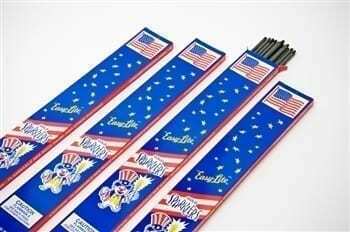 They are a great alternative to sparklers and safer for children to use them. Friendly Reminders: Please point poppers up and away from other people when pulling the string. You will hear a loud BANG and colorful confetti will burst into the air and fall all around. Adults should always supervise children and we do not recommend them for children under age 8. These brought a little pop of fun to our Diwali celebration!